Last edited by Kowy; Oct 4th, 2010 at 11:42. Last edited by danmark_ori; Oct 2nd, 2010 at 19:02. "THIS IS ESPECIALLY FOR ALL YOU ”NEW” PRODUCERS! For an old producer, like myself (haha), I think we tend to forget our roots – All DJ’s today want to play out the best of the best as fast as possible and I remember how hard it was as for an upcoming producer to get your tracks signed to labels or played in a radio show by some big DJ-guru. 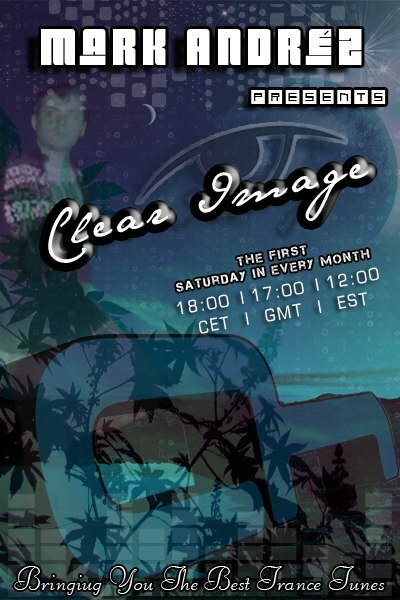 The idea is basically that all you “new” producers or all you who might not have released 20 tracks to huge labels etc, get a chance to get played on Clear Image as the “This Months Upcoming Future Talent”. So what to do now? – Send me your track to my promo mail; mark.andreasen@gmail.com and mark it as “This months Upcoming Future Talent”. From all the tracks that enter to my promo-mail, 1 track will be picked out and played during the next show. This is not a shameless self-promotion stunt or anything. This is an idea based on many demands from people who has written to me how to get their tracks played on a radio show. Hope you like the idea as much as myself, and start sending me your promos! "